I really enjoy every day crafts, simple crafts, crafts that can be made from typical every day items that you probably already have at home. I chose this activity, because I enjoy trying new things and well my mind tends to get a little carried away and I tend to try to take it one step further. This is a two step craft. 1. Mix in measuring cup, 1/3 Cup of Apple Cider Vinegar and 1/3 Cup of Distilled Water and set aside. 2. Add one coat of mod podge to the glass bottle where you plan to affix the die cut cardstock. 3. Add one coat of mod podge to the back of the die cut card stock. 4. Affix die cut card stock to glass bottle. 5. Smooth out surface of glass bottle to ensure no bumps/bubbles. 7. Smooth out surface to ensure no bumps/bubbles. 8. 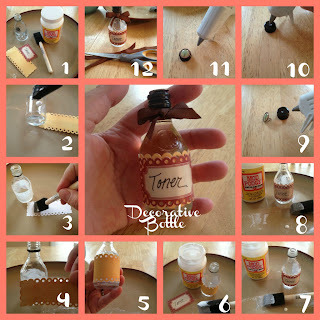 Add one coat of mod podge to the affixed pieces of die cut cardstock to seal labels to bottle. Elapsed waiting time... Allow mod podge to dry before handling it, otherwise you'll create finger prints in the mod podge. 9. Use push pin to poke hole in the bottle's cap. 11. Push Pin through the hole and flatten flush to the surface of the bottle cap to secure. 12. (Optional) Affix a ribbon into a bow around the mouth of the bottle. 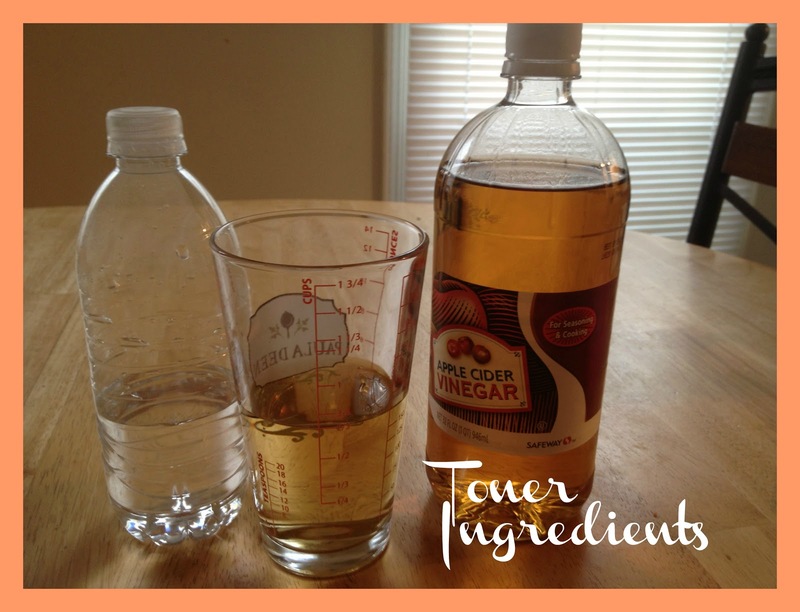 Fill with homemade toner and voila! 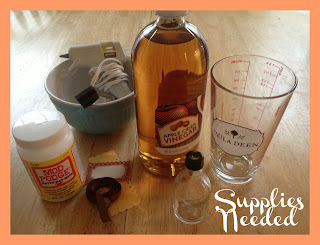 Do you have any home remedies or crafts you've tried before and like to share? Post in the comment section below.